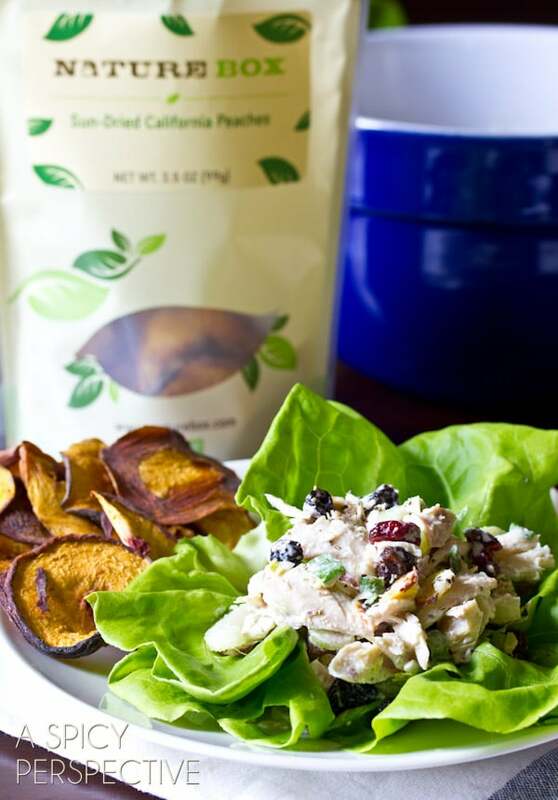 This classic chicken salad recipe has a tangy twist! Sweet and tart dried berries and cherries make it just the thing for back-to-school lunch box packing. The kids went back to school just a couple weeks ago, and already many of us are feeling the pinch of coming up with interesting lunch box ideas. It’s ok… It happens to the best of us. All our good intentions of creating decorative animal-shaped sandwiches (like the ones we’ve seen on Pinterest) have gone down the drain as we struggle to deal with little morning intricacies, like making sure our kids are wearing underpants before they walk out the door. My strategy is to not worry about lunch being cute, but to focus on healthy convenience foods that will fill my babies’ tummies and ensure they are getting vital nutrients, instead of preservatives and other nasty chemicals. 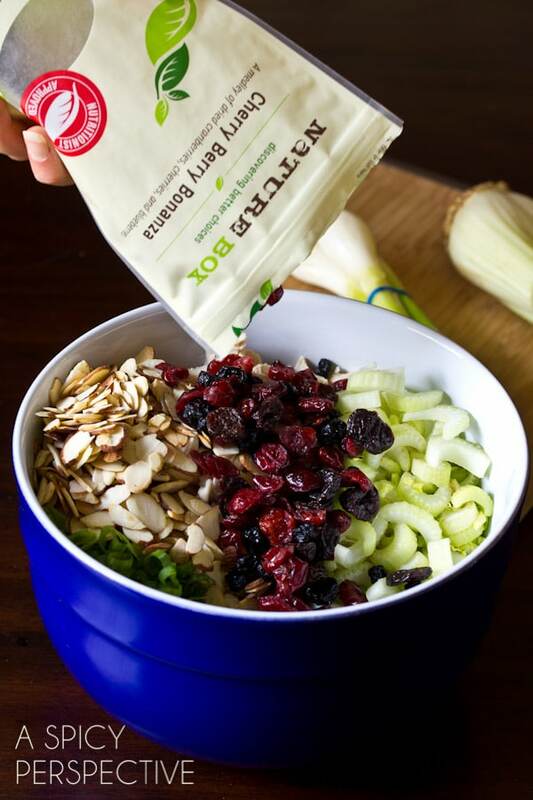 And healthy pantry snacks, primarily from Nature Box. Because we’re keeping it simple by only swapping the variety of foods in each of the four categories above, the kids can pack their own lunch each morning while I’m scrambling eggs, braiding hair, and shouting out the final quiz on spelling words. You can select vegan and/or gluten free snacks as well. That means no more standing in the grocery aisle reading microscopic print of the back of packaging. 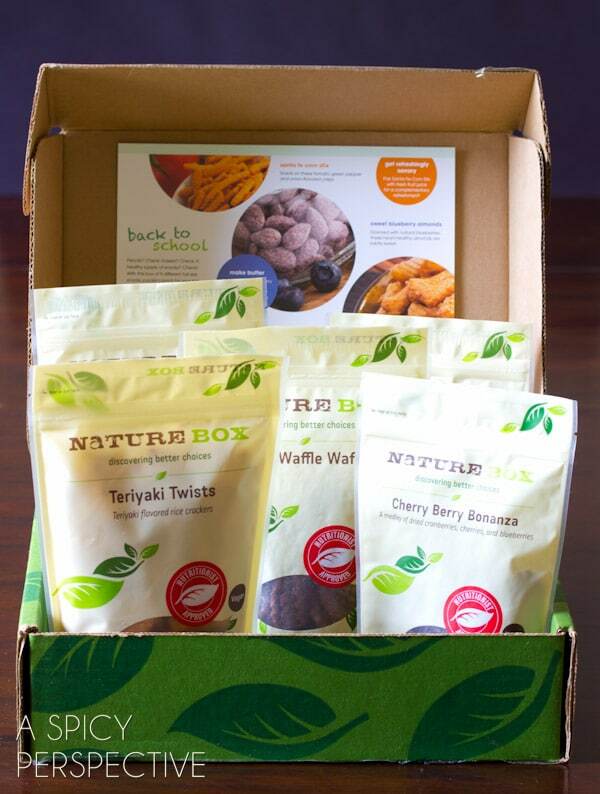 I know that the snacks I get from Nature Box are things that I feel good about giving my kids. Nature Box, I think I love you. Now I can focus my attention on the underwear epidemic in my house. 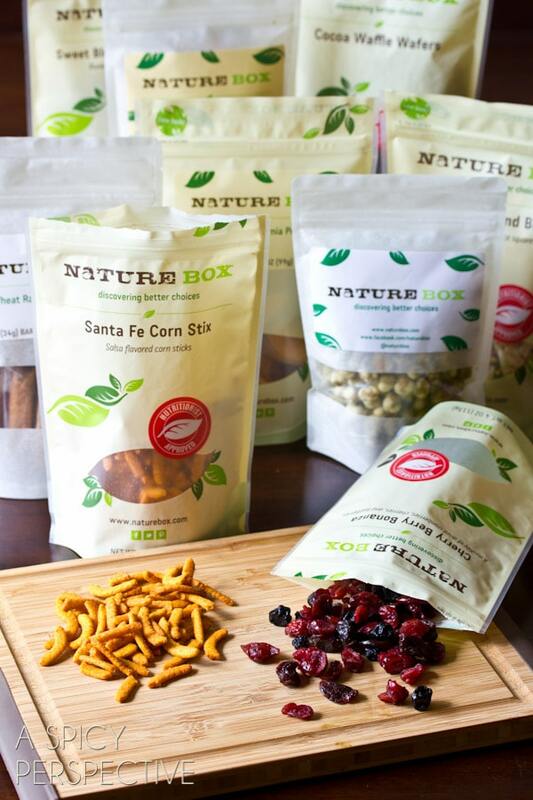 We pack the Nature Box snacks “as is” but I also like to use them in recipes. Today I added Cherry Berry Bonanza to my favorite chicken salad recipe. 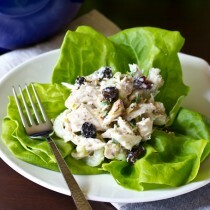 The dried blueberries, cherries and cranberries gave the chicken salad a tangy sweetness that complemented the crunch of the celery and nuttiness of the almonds. 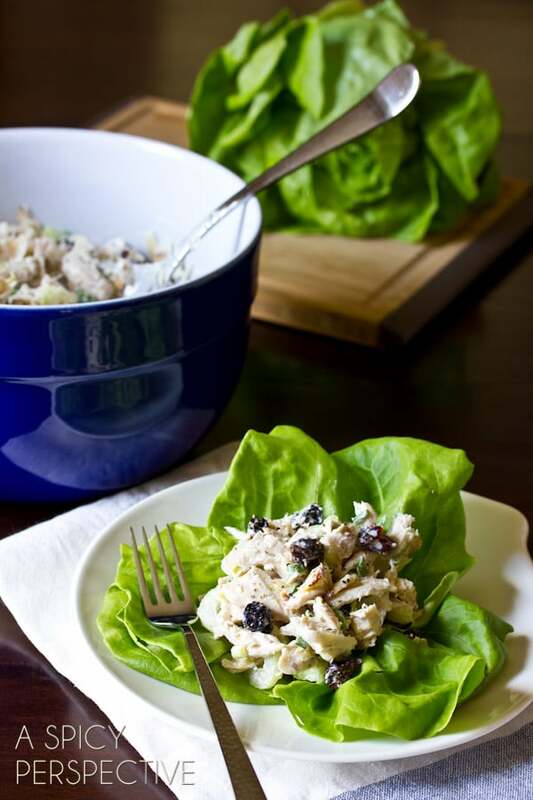 I can make a batch of this chicken salad recipe at the beginning of the week and the kids will happily eat it for several days in a row, with no complaints. I think Lt. Dan had his fair-share of this batch as well! Stir to thoroughly coat, then salt and pepper to taste. Keep in an air-tight container in the fridge until ready to serve.